Choose the best time of the year for your Euro Trip. Set up a travel itinerary with best places to visit in Europe. 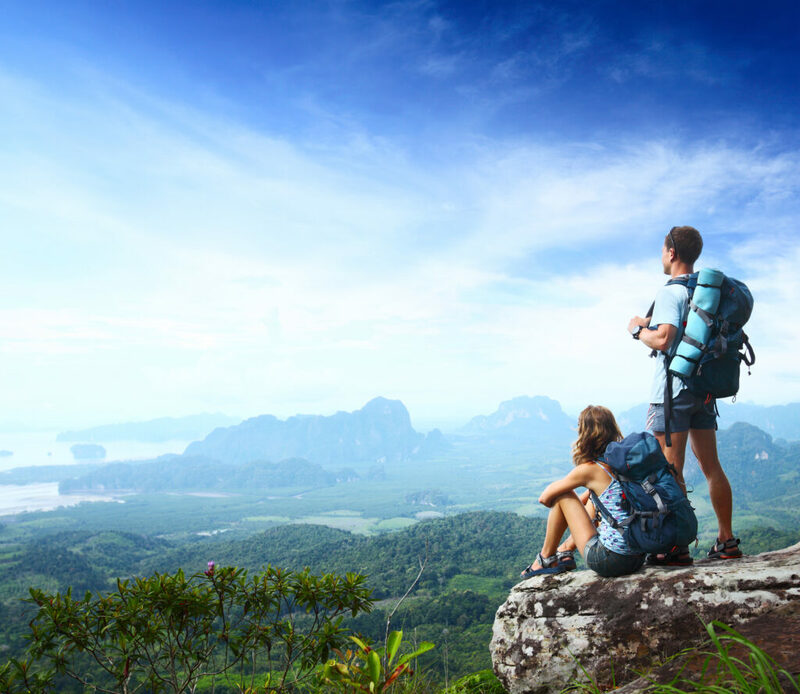 Estimate backpacking through Europe trip costs. Consider budget accommodation opportunities and low-cost airlines. Find out how to efficiently pack everything you need. Europe is known for its mild summers and cold winters. However, the climate is diverse especially if you compare a Mediterranean location with a mountainous one. As concerns the best time to backpack through Europe, it is essential to choose it according to the type of ‘Euro trip’ you’ve got in mind. If you decide to travel during summer, make the most of your time and money by visiting the Eastern countries, the Balkan coastline or the cities by the Baltic Sea. If you consider heading to the ‘big cities’, we advise you to book your tickets in late spring or early autumn. Summer is, of course, the high season in Europe, but from June to August you will spend more on accommodation, flight tickets, and practically on anything you can think of. Not to mention the heat! Temperatures can wear you down, especially if carrying your backpack for long distances. If you choose traveling in spring or autumn, some attractions may be closed, but look at the bright side! You will have the chance to interact more with local people and immerse yourself into the cultural specificity of each place. Plus, less tourists around translates into less crowded hostels. We know, backpackers wandering the world are all free spirits and backpacking is all about wild adventures and unconventional traveling. Also, setting up an itinerary for backpacking through Europe on a budget can be exhausting. But knowing exactly where you are heading to can really save you time, money, and energy. Just compare the amount of time needed to book a hostel online with the one spent in an unknown city trying to find one. What we advise first it to establish the length of your trip and narrow down what you wish to see the most. Although you are traveling on a budget it doesn’t mean you cannot enjoy the luxury of visiting the most impressive European cities. Whether you choose the romantic Paris, the fairy tale Prague, or the vibrant Berlin, be sure to enjoy an unmissable experience. Apart from these popular destinations, there are so many other corners of the continent to explore. Take a few days to visit quieter locations, blend in with the locals and enjoy the greatest gastronomic experiences Europe has to offer. Learn more about the language, food, culture, and history of the country you will visit prior to listing greatest opportunities. So, after you’ve picked up the dates of your trip and established the type of trip you are about to start, write down the sights and events you don’t want to miss. Take a look at travel guides for more information and inspiration. Look out for free museums, free tours and other free fun things to do. Consider how many days you can spend in one place and what you can realistically cover from the above mentioned list. We would recommend spending at least 3 days in big cities and taking day trips to other destinations such as castles, heritage sites etc. Do not count the time you spend on the road. Be honest with yourself. First things first, you will need to book flight tickets in advance. This requires researching the airports you will be flying through according to the already mentioned itinerary. Why do your homework? You would be amazed by what you can find in many European airports nowadays, from movie theater to sleep rooms and free coffee. Even if you are flying in economy, it doesn’t mean you cannot enjoy a few luxuries. On the same page, have a look at other transportation costs. Depending on destination, you can buy a 3 or 7 day-pass for public transportation including trains, busses, subways etc. But not all cities offer you this opportunity. Are you going to take the train, rent a car, or take the city bus? Get an idea of how much it cost to get from one location to another and see it fits your plan. Second, it is essential to consider the most affordable accommodation options. Finding a good hostel is easy and definitely one of the most convenient options. There are plenty of websites where travelers can rate the quality of the hostels they have booked and share the experience. Hostelworld.com, for instance, is a great resource. If you enjoy nature, Europe has breathtaking outdoor locations where you can take hiking trips and even camp for free. You can look for camping sites with other facilities included too. Third, being wise with your expenses implies doing a bit of research about the local currency and international exchange rates before exchanging money. Is it best to have it exchanged before traveling or once you arrive at your first destination? My all means, do not exchange money in airports! Always go to a bank or an authorized office. Fourth, consider the money you will spend on food. What to do best? Eat like a local! Buy food from local stores, and from the marketplace. Ask people to recommend the best and most affordable places where you can have a nice lunch or dinner. Make sure you don’t skip breakfast as you will need a lot of energy to fulfill everything on your list. Fifth, always put aside a little extra cash for souvenirs and unexpected expenses. Light and low maintenance clothing: a few shirts, T-shirts and sweaters, jeans and shorts. A fleece jacket, rainwear and boots for hiking. Smaller backpack for day trips. Sleepwear and thermal underwear to keep you warm if you travel during the cold season or plan to camp. Essential accessories such as sunglasses, sarong. 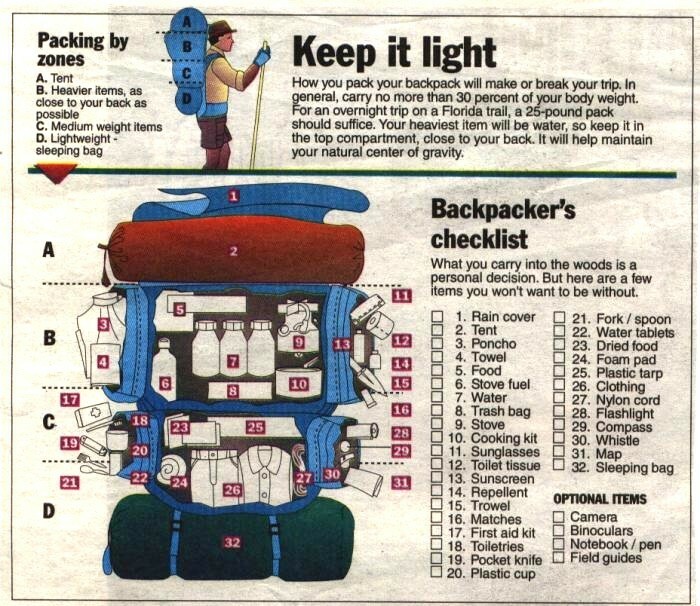 Other useful stuff like flashlight, ear plugs, water bottle, notebook, padlock, Swiss-army knife, money belt, plastic utensils. Basic toiletries: toothpaste, deodorant, sunscreen, wet wipes, hand sanitizer. Medicines – make sure you have a prescription. Don’t worry if you miss anything that is not important. Europe is a great place for shopping. Make Sure You’ve Got Your Passport with You. Make a Few Copies of Your Docs and Credit Cards. Stay Safe and Buy a Travel Insurance. Go by Foot as Much as You Can. Learn to say ‘Hello’, ‘Please’ and ‘Thank You’ in Every Country You Visit. Keep a Travel Journal: write down your contact details, reservation numbers, addresses, memories, and anything else that crosses your mind. Take Your Camera with You and Capture Those Memorable Moments. This brings to an end our ‘how to backpack through Europe guide’. Ready to pack? We hope our post will help you plan your first backpacking Euro trip. Have we missed anything important? For any questions, ideas or suggestions, please drop us a line in the comment section below. Feedback is always welcome. Cheers & happy packing!